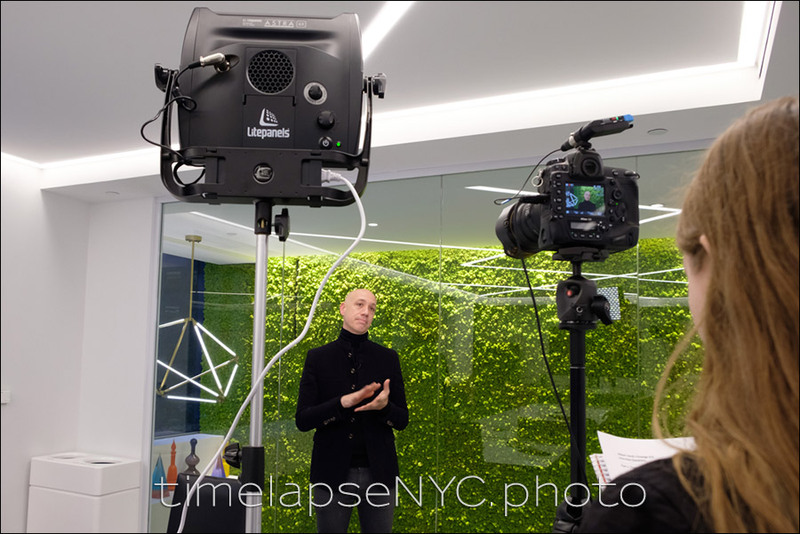 Emerge212 is an office management company in New York, and my brief from them was to do a Time-Lapse video of a well-known stylist, Robert Verdi, setting up his office. The challenge here for me was that the office space was relatively small, and didn’t immediately offer many vantage points to place cameras. 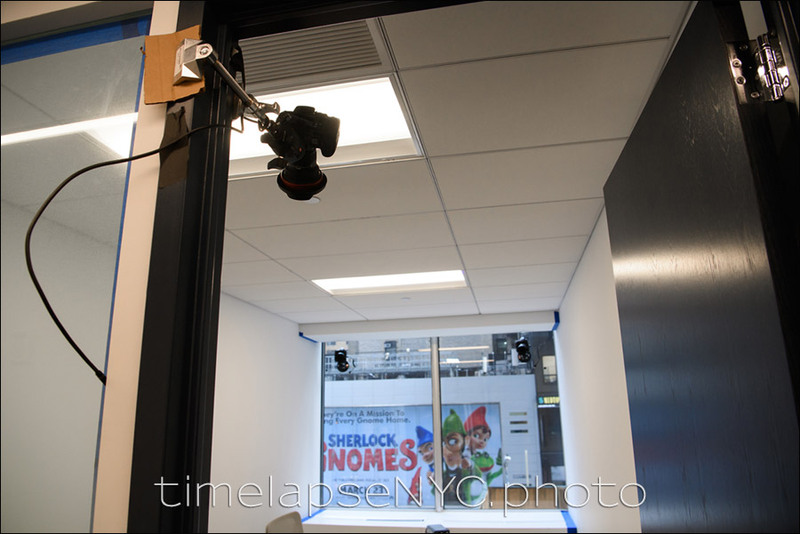 After visiting the office space twice before the actual day of the event, and speaking to my client, I decided on three cameras … two of them mounted to the windows with strong suction cups, and one mounted high up on a door-frame. All three cameras needed to have ultra-wide angle lenses to be able to capture the setting up of the furniture and decor. In the final time-lapse video, switching between he three cameras gave us alternating viewpoints that remains interesting compared to that of just a single static viewpoint. The intro with Robert was shot afterwards. The voice-over was part of a video interview with Robert that we recorded in another conference office, while the time-lapse cameras were running in the office being set up. A lot of thought went into the decisions about the gear used for this particular project. While the brief might have seemed uncomplicated at the onset, there were distinct challenges in setting up the cameras. Mounting the cameras to windows was more viable than having the cameras on tripods. Tripods would get bumped, and more importantly for me – the tripod legs would be unsightly in the final video. Ideally the recording process shouldn’t be transparent in the final product. 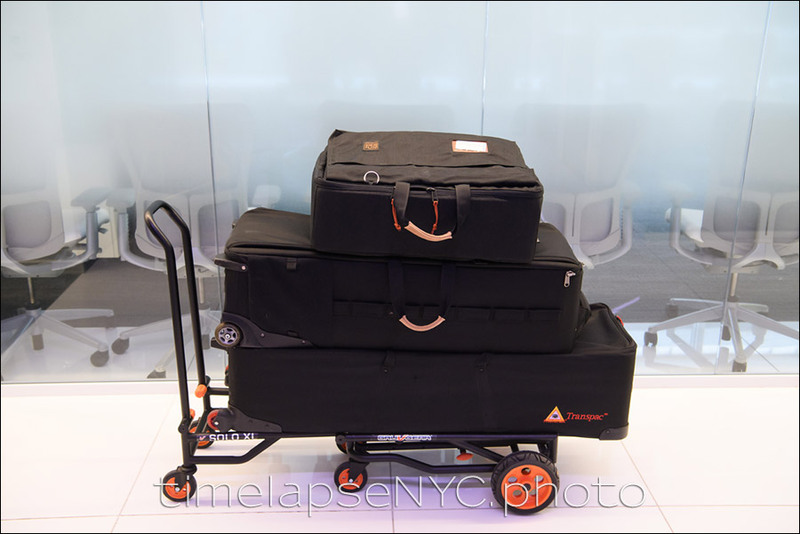 The hand-truck with three bags – more than I usually bring to a time-lapse photo shoot because I also brought along lights to record the video interview, and light-stands for those lights. 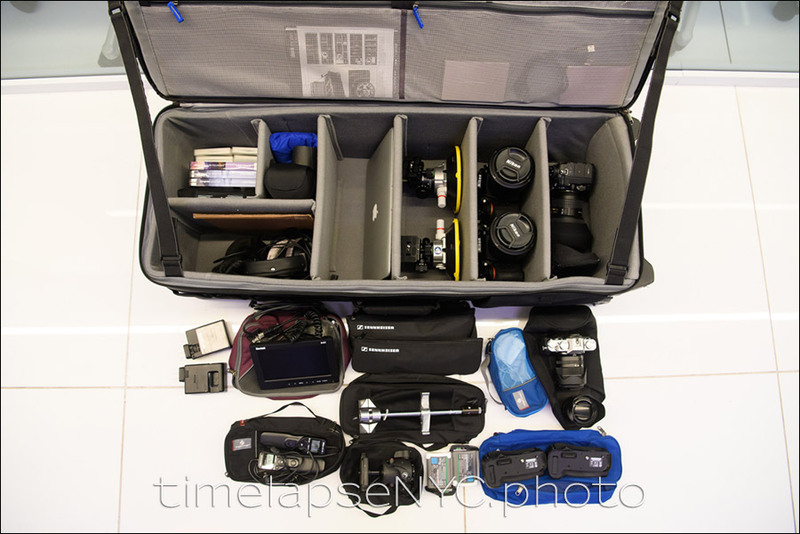 The roller-case with the time-lapse photography gear. Cameras and lenses and controllers. Suction cups and clamps. Lots of batteries. AC adapter for the one camera. Two sets of microphones, even though I knew I would only need the one. As with everything, there has to be back-up! No risks taken there. 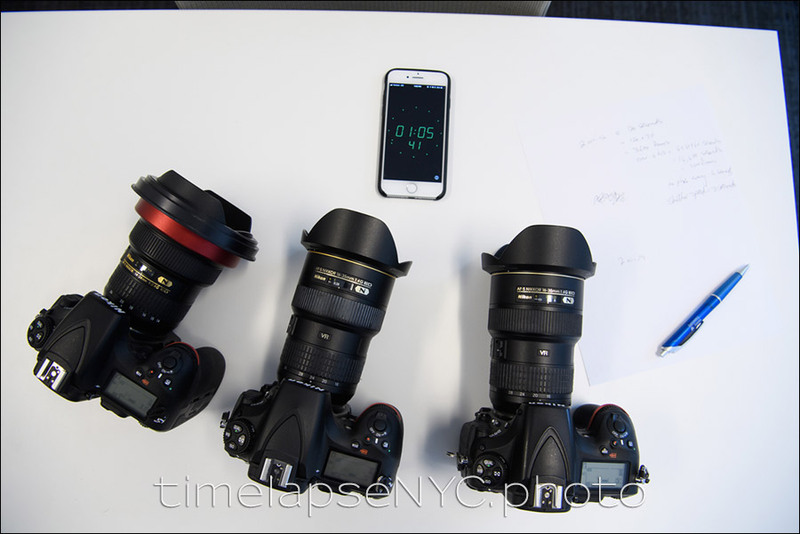 The three cameras before the photo shoot starts. One last time to check that all the camera settings are matched, and that the time & date settings are exactly the same. And a last check that my calculations for optimal camera settings are correct. Ready to rock ‘n roll! The three cameras. You can see the other two cameras clamped to the corners of the window. 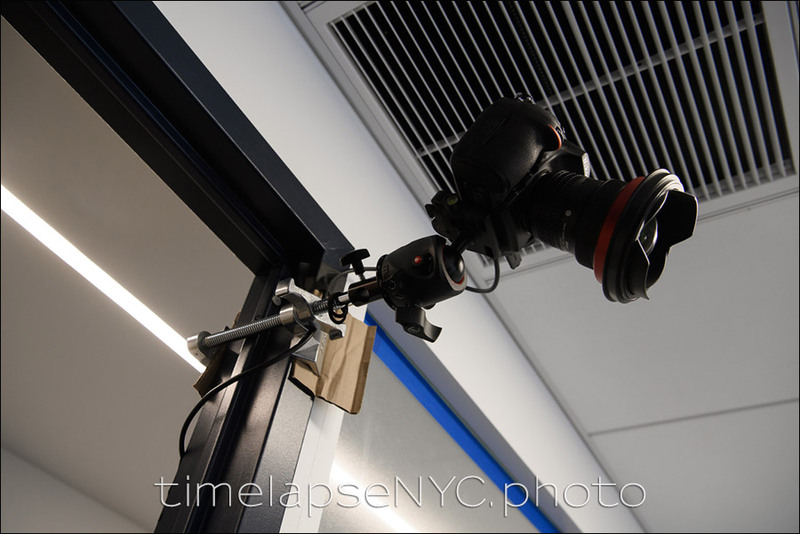 The main camera is clamped to the door-frame, but with a piece of cardboard to ensure that the clamp doesn’t damage the paint-work. 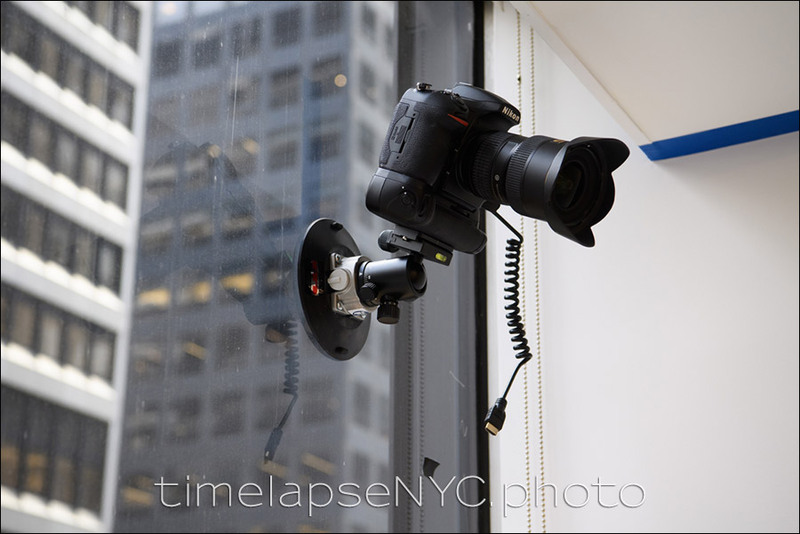 One of the cameras clamped to the window with a strong suction cup. The cable you see there is to connect an LCD screen to the camera so that I can check that the camera’s view is correct. 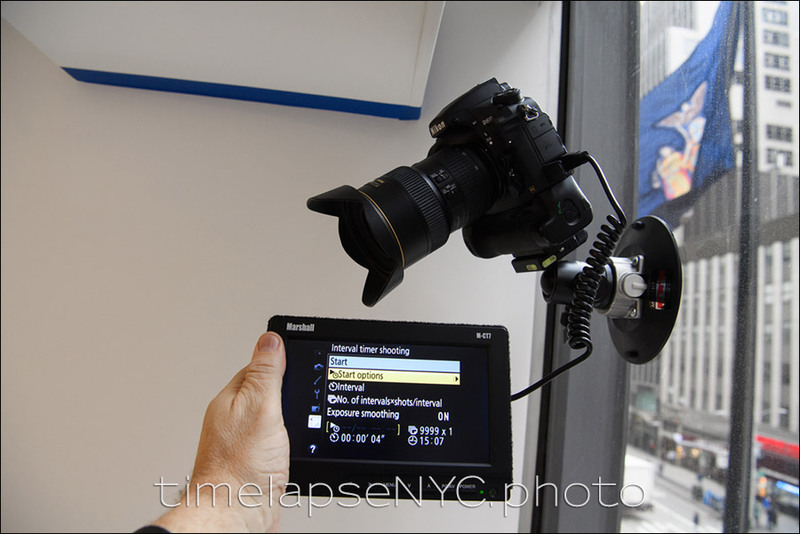 I also use the LCD screen to start the interval timer on the camera. While the time-lapse cameras were running downstairs, we recorded a video interview with Robert Verdi. In the end, I just used the audio from this as a voice-over.